Never knew world building dragons could be so much fun. Stuck in your fantasy story? Try doing some image searches. 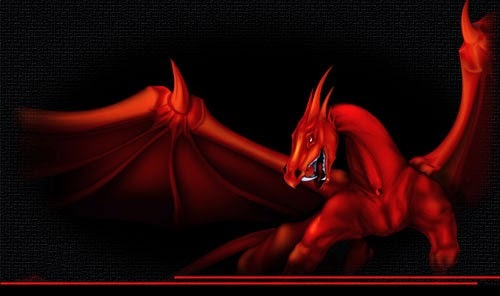 I want dragons in my latest WIP Devortus Reigns. Never used them before. The creatures need to be different...somehow. On to Pinterest and Google Images. I already have a Fantasy/Mystical Creatures board. 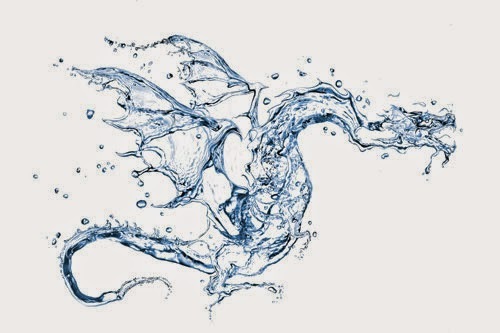 Follow Auden's board Fantasy/Mythical Creatures on Pinterest. Wouldn't it be fun to combine a dragon with some other creature! I saw this one pic that combined a dragon with a butterfly. I could even pair the beasty with a weapon! Follow Auden's board Fantasy Weapons on Pinterest. While searching for dragons on Pinterst, I came across this. This got me thinking. 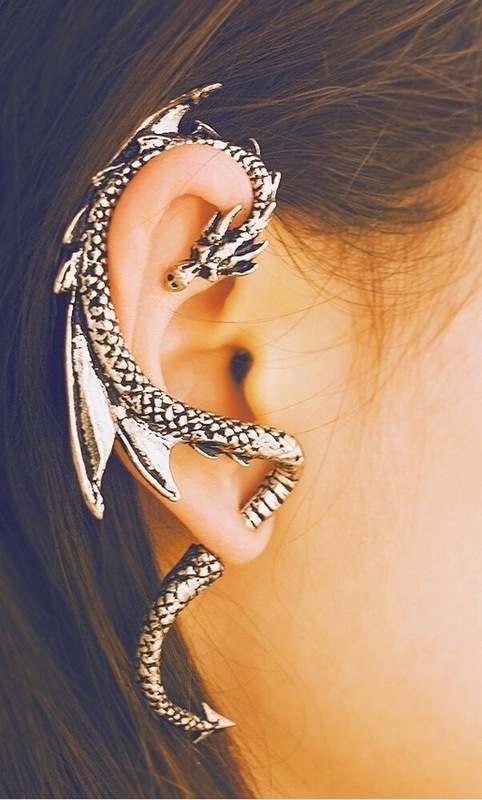 What if this earring was an actual dragon? I could make a tiny dragon that lives on the person's ear. Or, a big dragon that can make itself small enough to live on someone's ear-- or inside some jewelry like a ring. I was stuck with this story. The research gave me a plot idea. I'm thinking one of the characters in Devortus Reigns will have some connection with dragons. Don't know how yet. There's something wrong with the dragons and the character can feel it. Maybe. That's heading into cliche territory. Don't know what dragons have to do with the world. I like the idea of them being attached to land or a part of structures.